DePuy invested €36 million through the company’s Ireland Innovation Center in an effort to advance material science in the field of 3D printing. The investment also complements the 3D printing partnership the company launched last year with Trinity College Dublin. 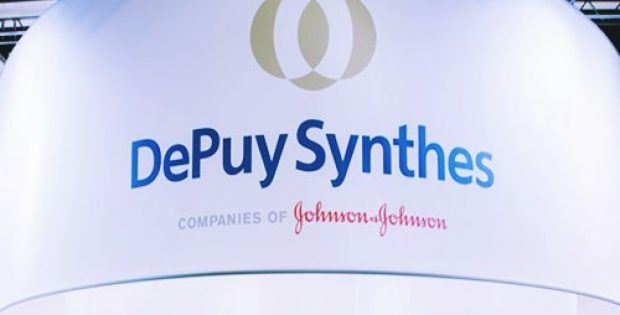 DePuy Synthes (DePuy), the orthopedic & neurosurgery unit of Johnson & Johnson, has reportedly announced that it has invested over €36 million through the company’s Ireland Innovation Center in an effort to advance material science in the field of 3D printing. Reports cite, the significant investment would be contributing towards the Research & Development (R&D) efforts being carried out at the company’s Materials & Surface Technology Centre, called the Johnson & Johnson’s 3D Printing Centre of Excellence, as well as the Advanced Materials + BioEngineering Research (AMBER) centre in Ireland. According to a report by Irish Building Magazine, the five-year-long project is being supported by Irish Government’s Department of Business, Enterprise & Innovation through the state agency, IDA Ireland. Apart from significantly advancing the company’s R&D efforts, the investment would also be generating over 30 new high-quality job openings at the firm’s materials center of excellence. The Irish Deputy Prime Minister & Minister for Foreign Affairs & Trade, Simon Coveney stated that the €36 million investment as well as the creation of 30 additional job openings is a very good news for the region. Coveney further added that it markedly showcases the company’s commitment to the site. The project would majorly be focusing upon the advancement of material science in the domain of 3D printing, surface treatments & coatings for medical devices & implants of a higher quality as well as the establishment of a 3D Printing Development & Launch Center. According to reports, the planned 3D Printing Development & Launch Center & the central focus of the investment also greatly compliments the 3D printing partnership the company had launched last year with the Trinity College Dublin.